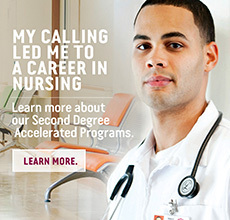 Mount Carmel College of Nursing understands financing a college education is an important consideration for students and families. MCCN administers numerous financial aid programs to assist in funding your education. We are committed to helping you make your dreams a reality. The following pages offer extensive information on the financial aid process and eligibility requirements. The information provided on these pages will guide and educate you through every step of the process. 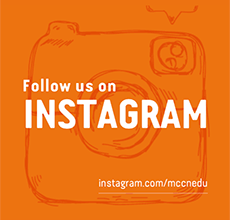 Although these pages cover many topics, should you have additional questions please do not hesitate to contact the Office of Financial Aid at financialaid@mccn.edu or (614) 234-1842. Per Federal Financial Aid Regulations 34 CFR 668.40, HEAO Sec. 488(g), amended HEA Sec. 485 (20 U.S.C. 1092), HEA Sec. 485(k), this statement serves as notice that a student who has a drug conviction for any offense during a period of enrollment for which the student was receiving Title IV HEA program funds (Federal Pell, Supplemental Education Opportunity Grant, Federal Work-Study, Federal Perkins Loan, Federal Stafford Loans, Federal PLUS Loans, Federal Grad PLUS Loans) under any federal or state law involving the possession or sale of illegal drugs will result in the loss of eligibility for any Title IV program funds. MCCN offers electronic document submission for some documents needed in the financial aid process. Students may submit some documents with an electronic signature. To submit documents electronically, students must submit through their MCCN personal email account and include their full name, MCCN student ID, and last 4 digits of their SSN.